Imposing and refined, the new Audi A4 is an executive saloon which exudes class and ensures every journey you take is made in style. With a wide range of engine and trim options, you can customise this vehicle to your exact tastes, enjoying a personalised and confident drive every time. The Audi A4 boasts the classic, recognisable features that adorn many models in the range: angular headlamps and a trapezoidal grille convey a sense of purpose from the front, while clean lines and creases improve the car’s aerodynamics, giving it a class-leading drag co-efficient. Adding to the streamlined effect are the panel-mounted door mirrors, which allow air to glide uninterrupted along the model’s flank. With a low stance and large alloy wheels to boot, it’s a sleek and assertive vehicle that’s sure to capture the attention. Inside, the A4 is designed to impress, with solid construction and plush yet durable materials. Getting comfy is simple thanks to a multitude of seat and steering wheel adjustment possibilities, while the Virtual Cockpit is more intuitive and responsive than before. The premium ambience is finished with wood veneers and metal trims, ensuring you and your passengers travel in complete comfort. Space is plentiful too, with tall passengers able to fit easily into the rear and a range of clever storage compartments providing room to store cups, bottles and trinkets. An extensive range of engine options is available, meaning you can tailor your drive almost completely. Choose from economical variants such as the 1.4-litre petrol or 2.0-litre diesel unit, or opt for unadulterated power with the 3.0-litre TFSI or 3.0-litre TDI engines. If you’re looking for all-weather ability, Audi’s Quattro four-wheel drive system comes with selected models, providing enhanced traction and stability. Get behind the wheel and you’ll experience the Audi A4’s exceptional driving dynamics. Several suspension setups are on offer, enabling you to choose whether your ride is comfy or sporty, and precise handling provides the composure and agility so important to saloon drivers. Whether you’re considering the Audi A4 for business or pleasure, you’ll want to know it has the latest equipment. Featuring a floating infotainment unit that sits atop the centre console and smartphone connectivity, it provides everything you need to stay in touch on the road. Cruise control, rear parking sensors and keyless entry also come as standard for added convenience. Be sure to unlock your new Audi's technological potential with Audi Connect, the best way to maximise the capability of your brand new Audi's entertainment system. Safety kit is comprehensive too, with all A4 trims featuring City Emergency Braking to prevent low-speed collisions, electronic stability control and six airbags. 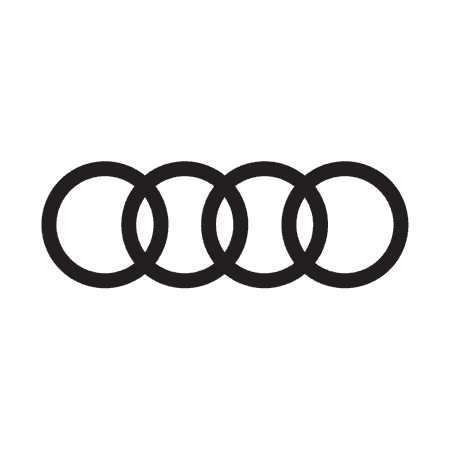 For full details about the Audi A4 or to book a test drive, contact our expert team today.